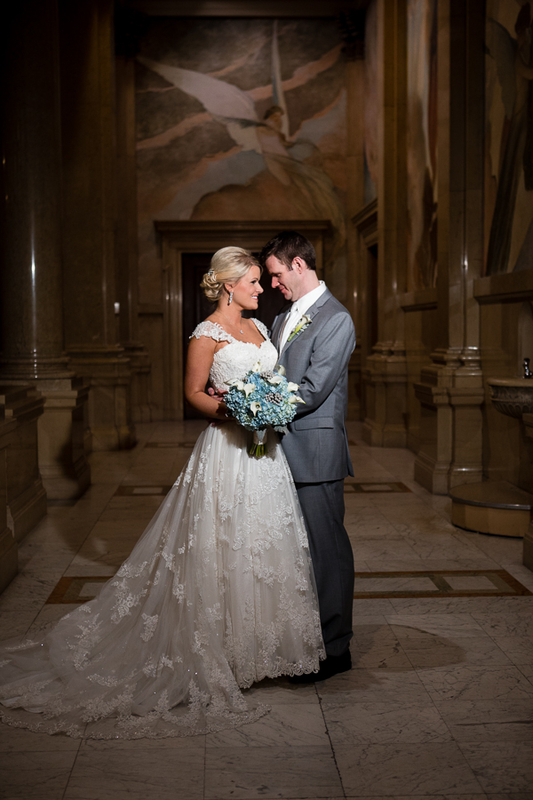 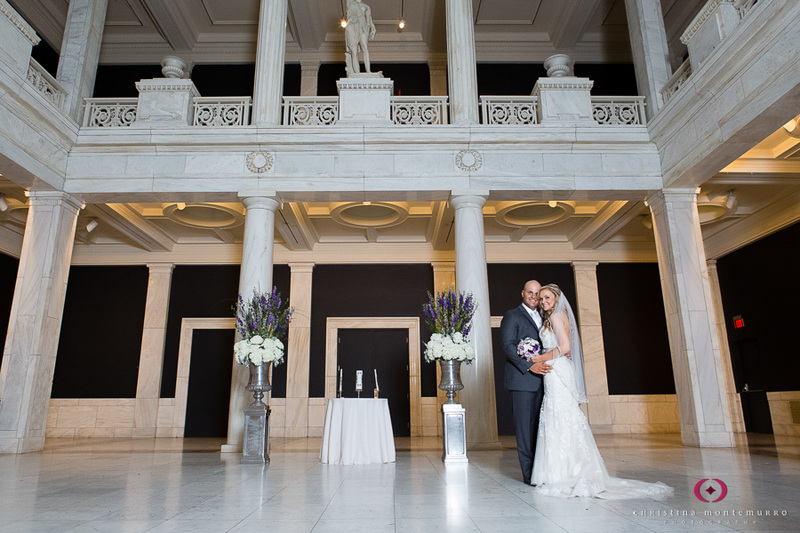 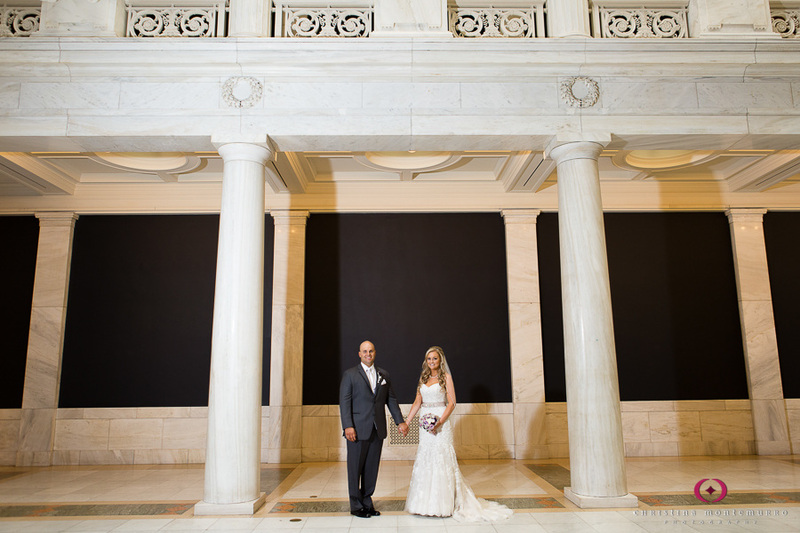 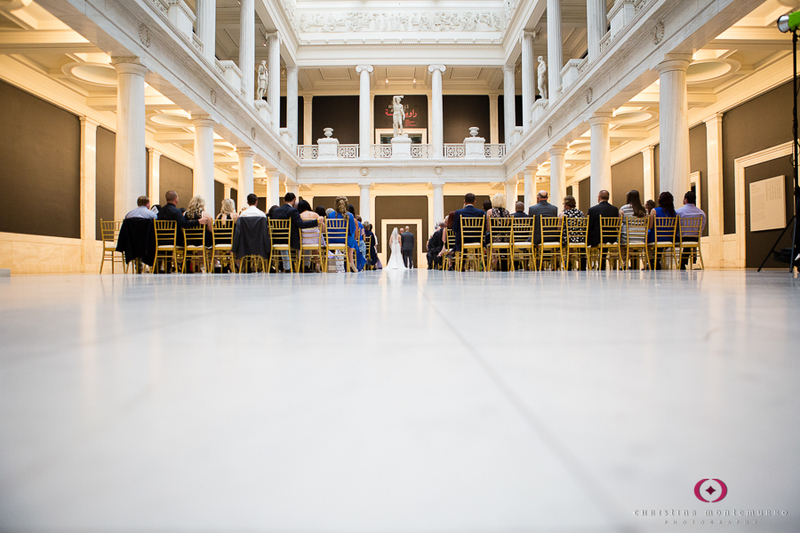 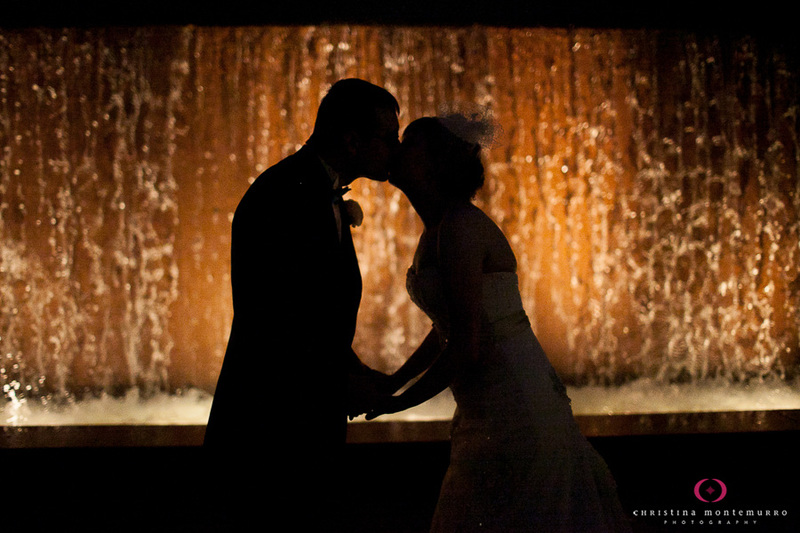 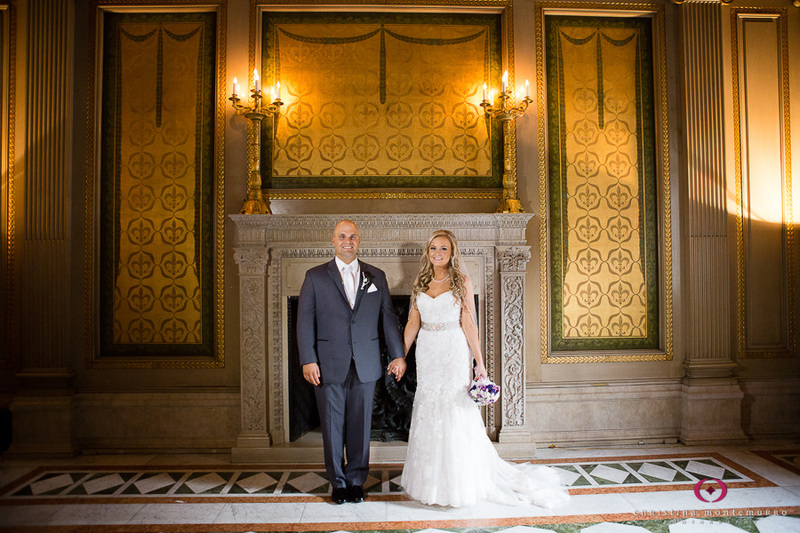 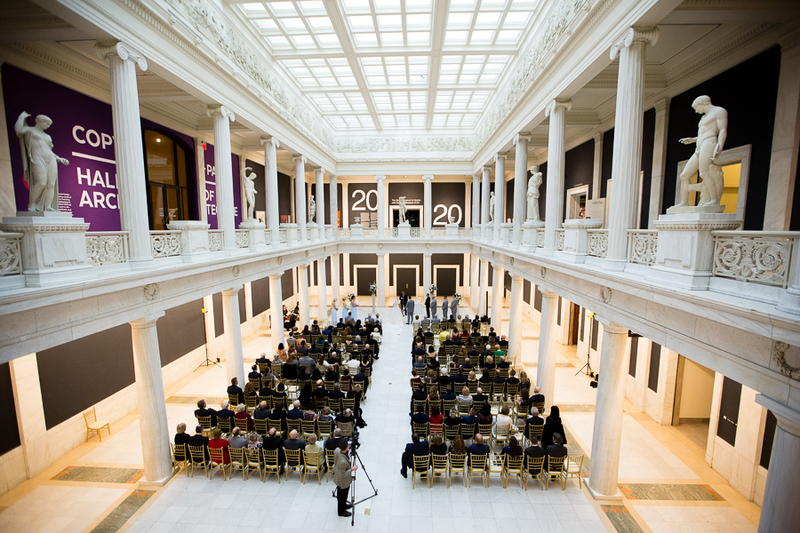 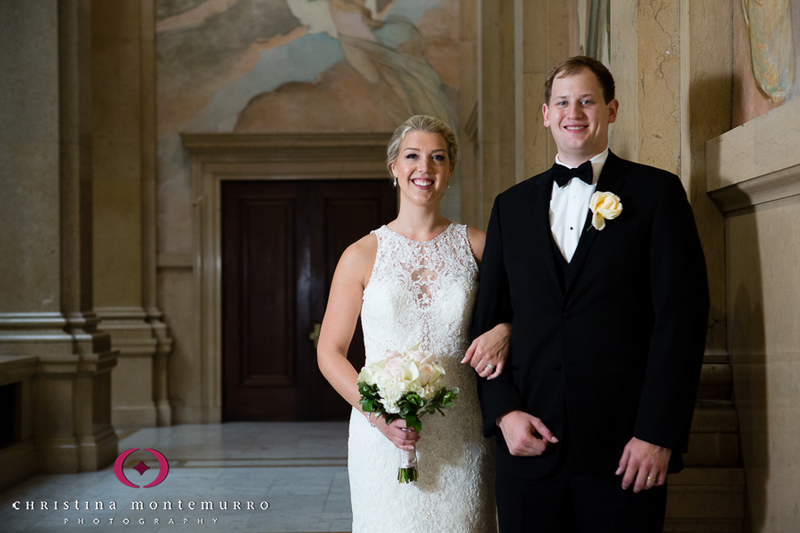 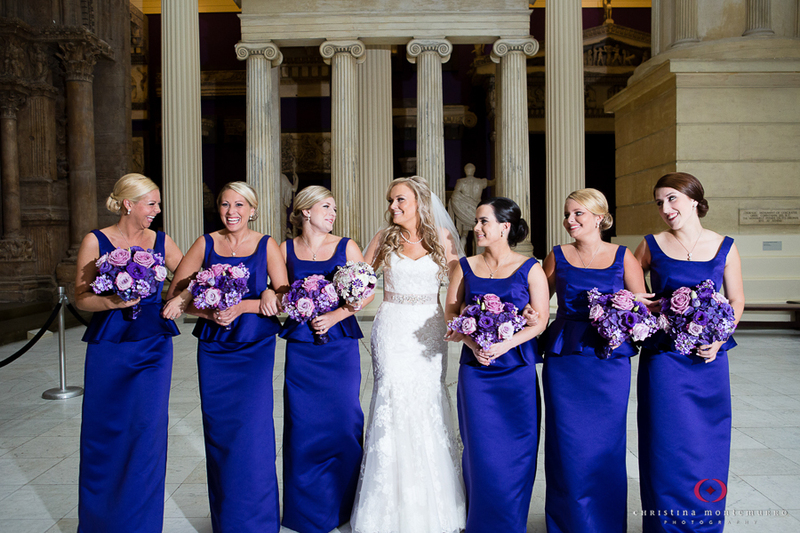 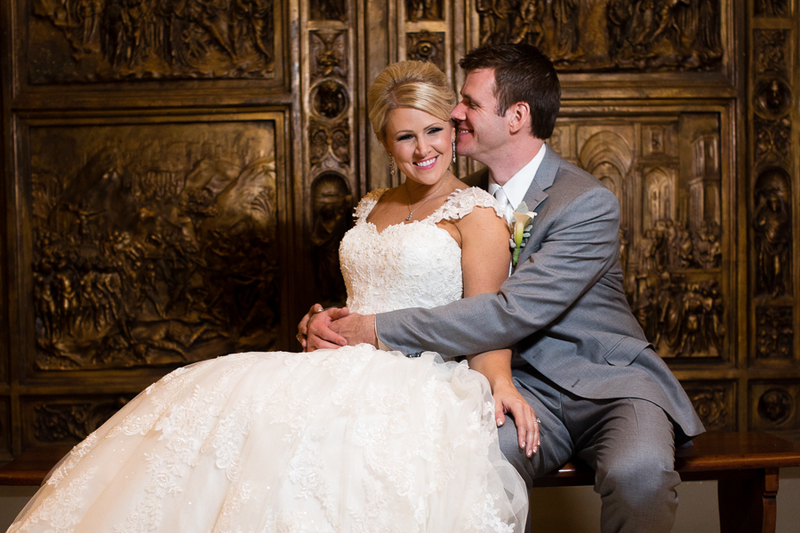 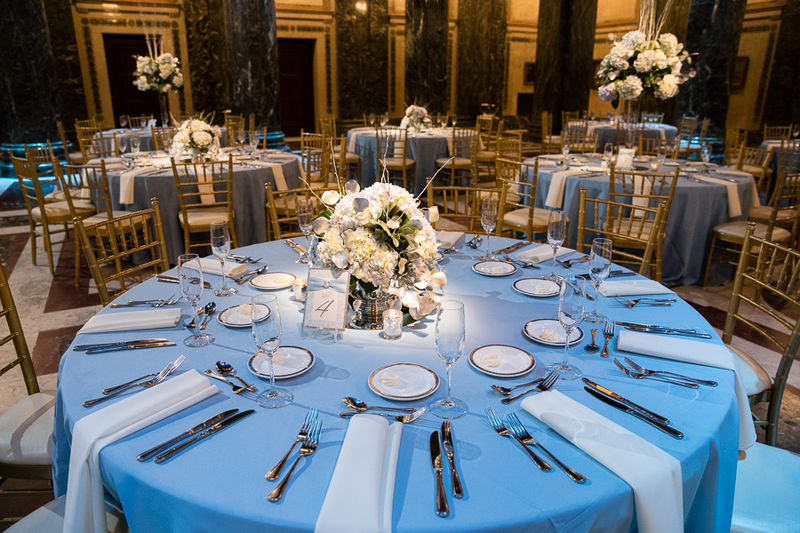 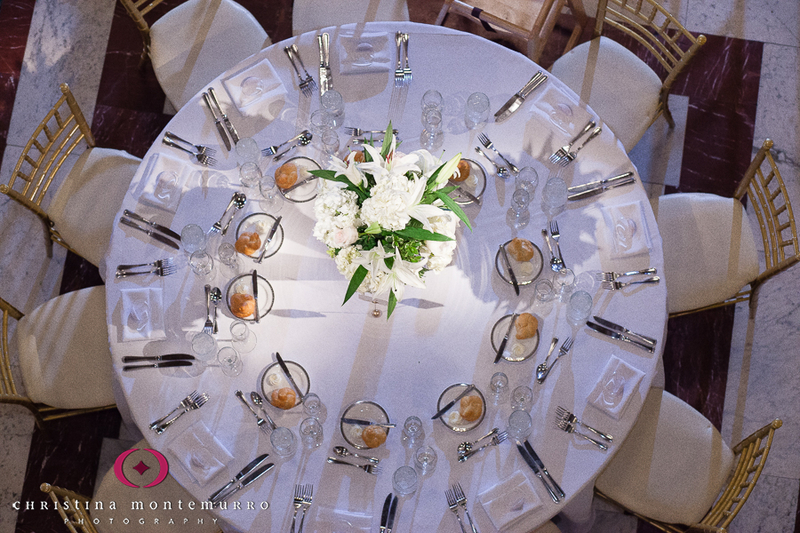 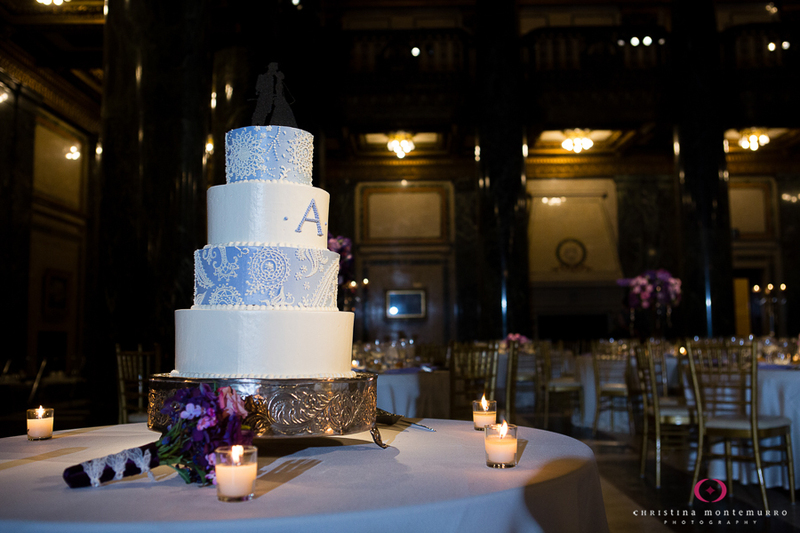 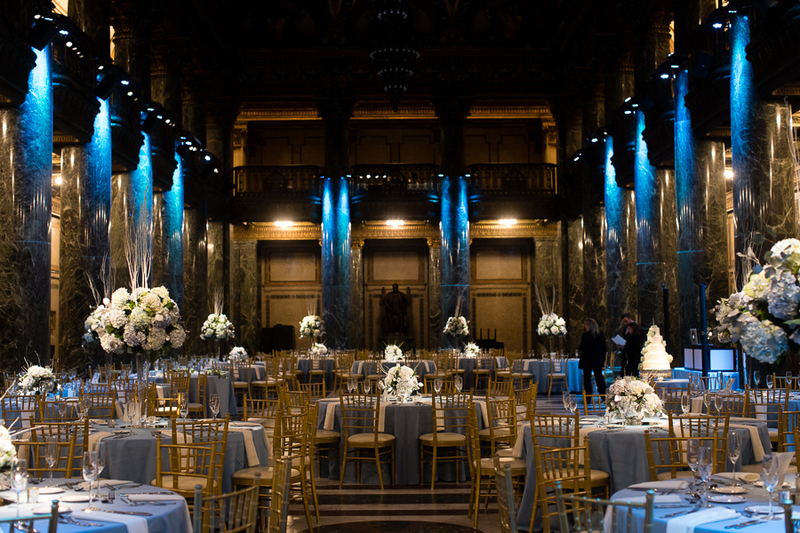 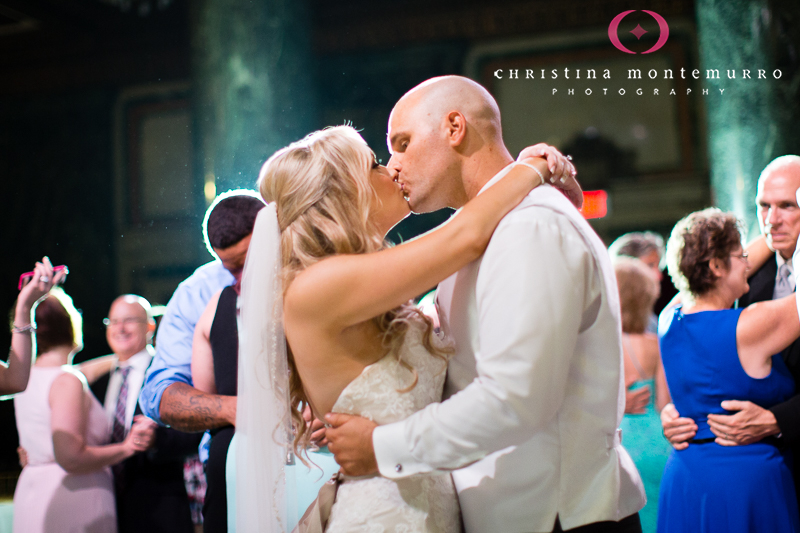 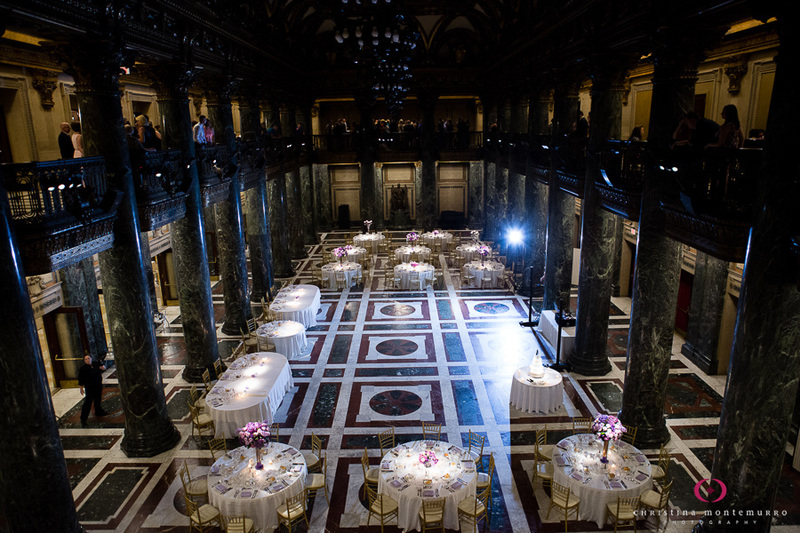 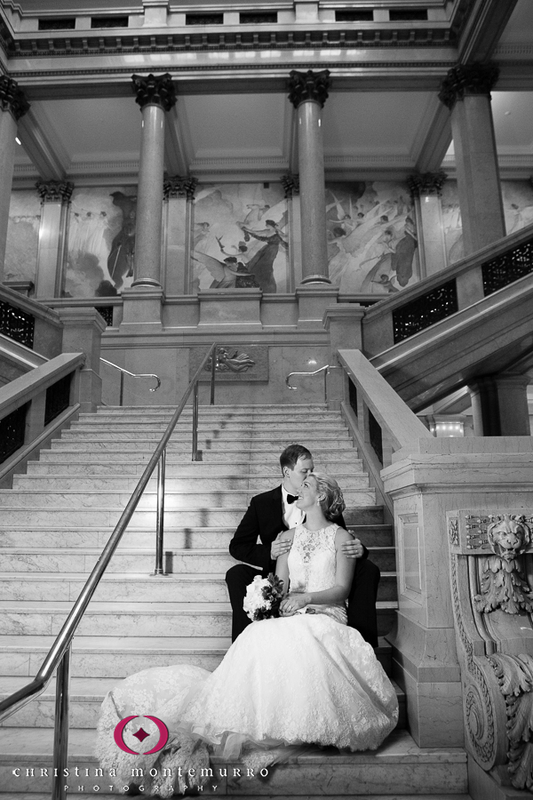 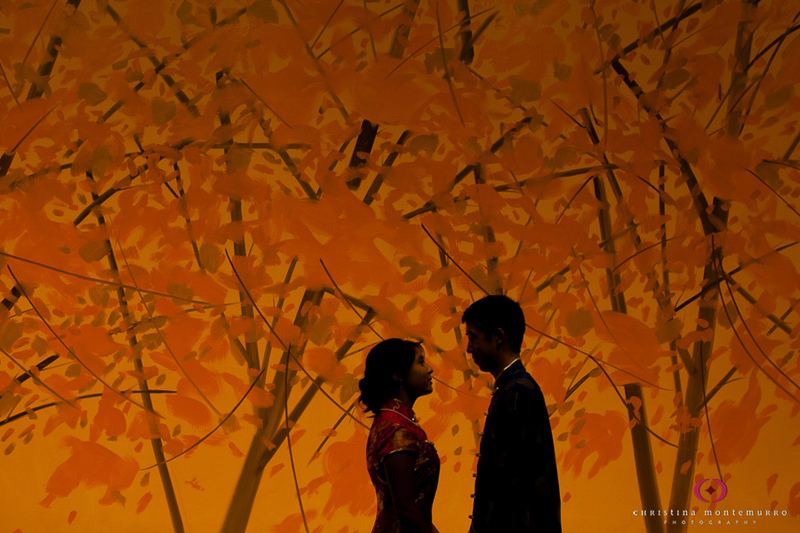 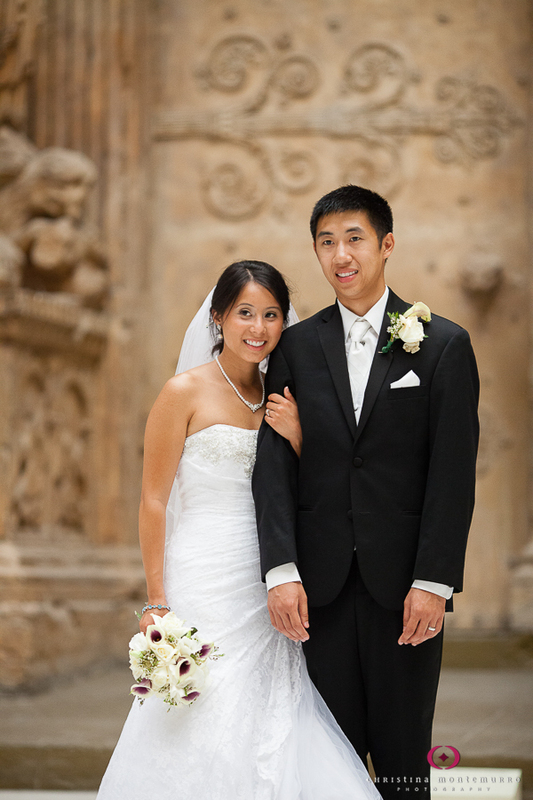 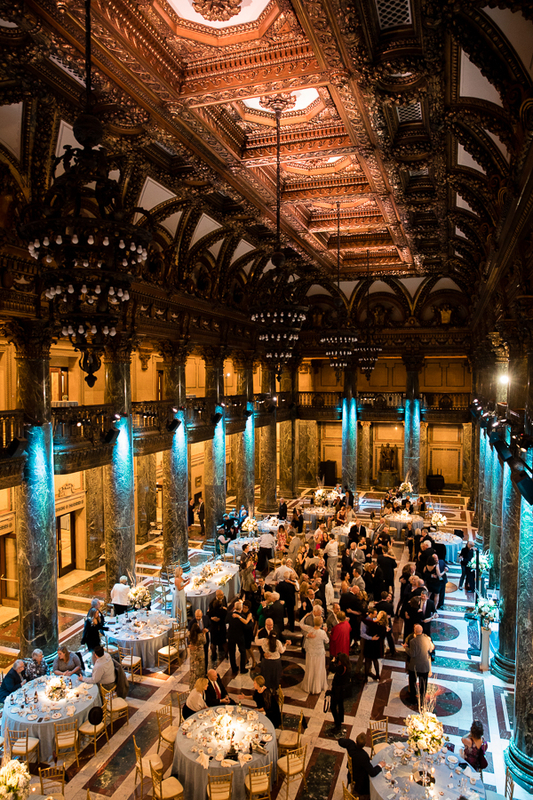 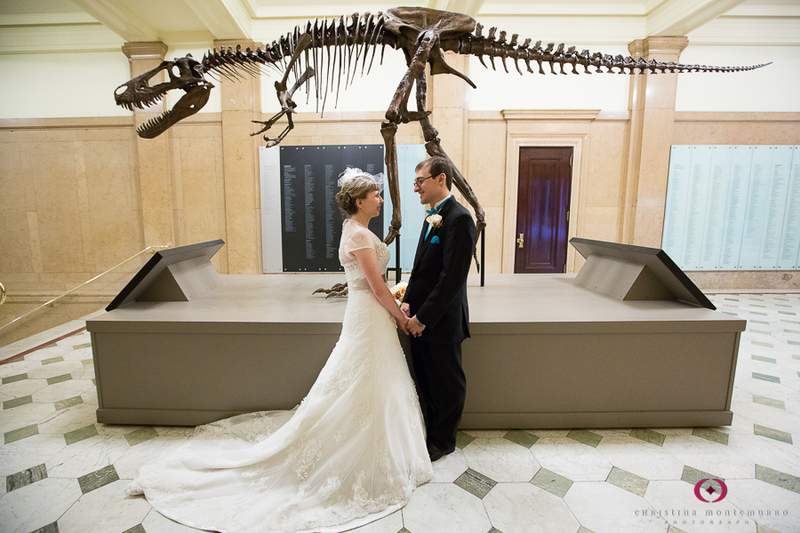 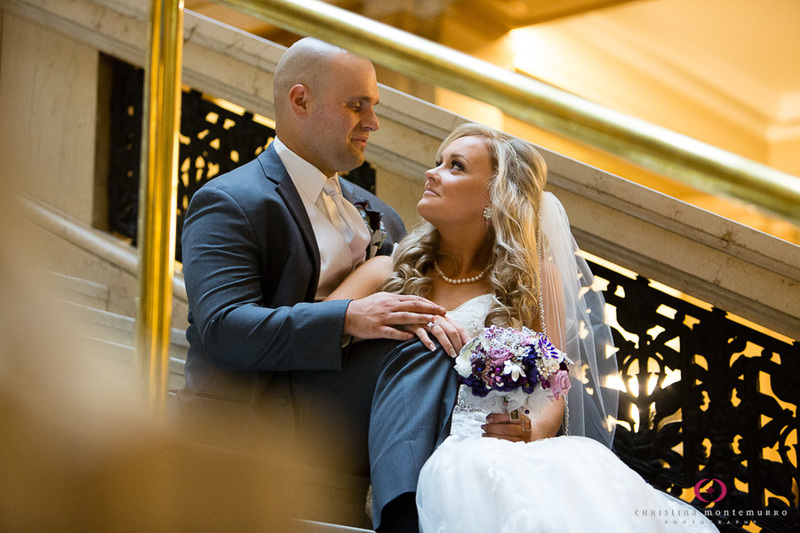 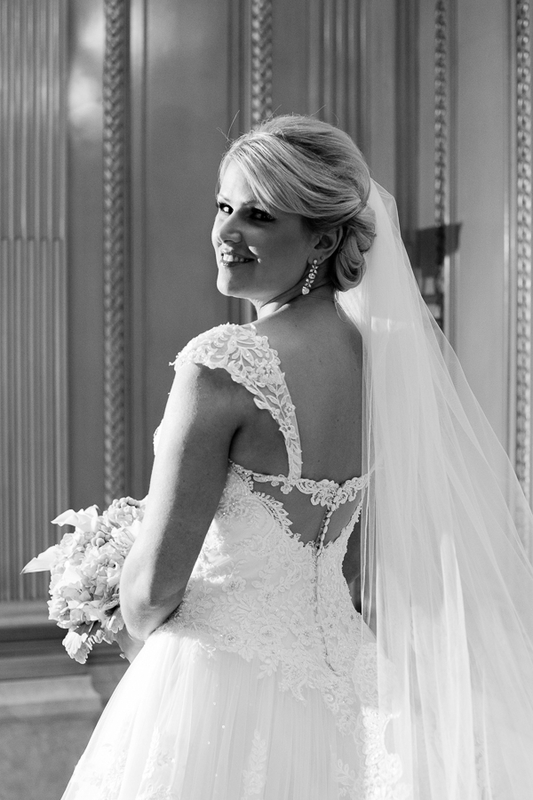 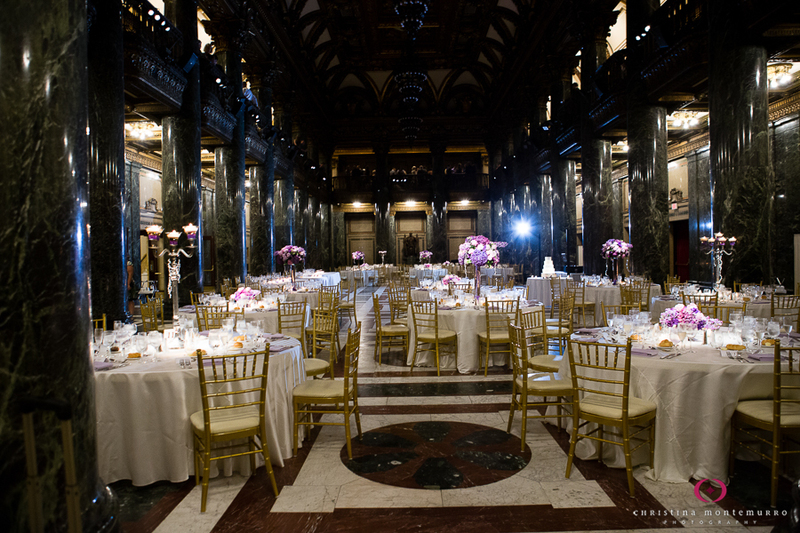 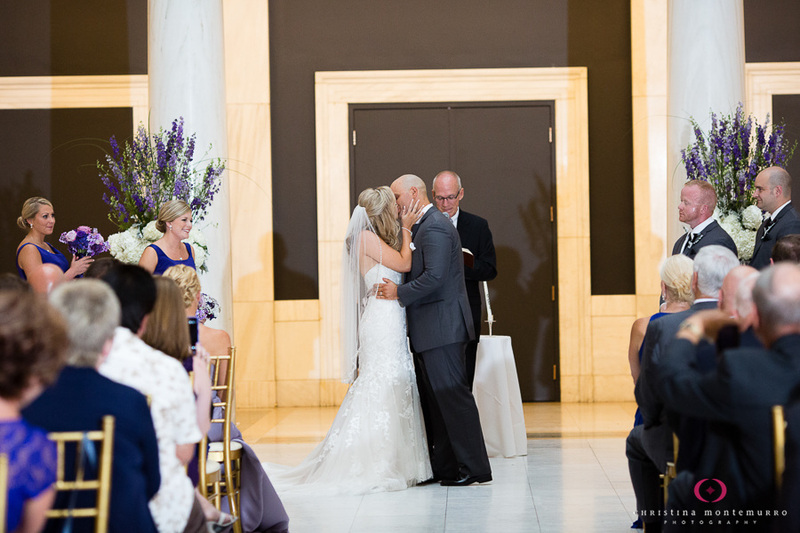 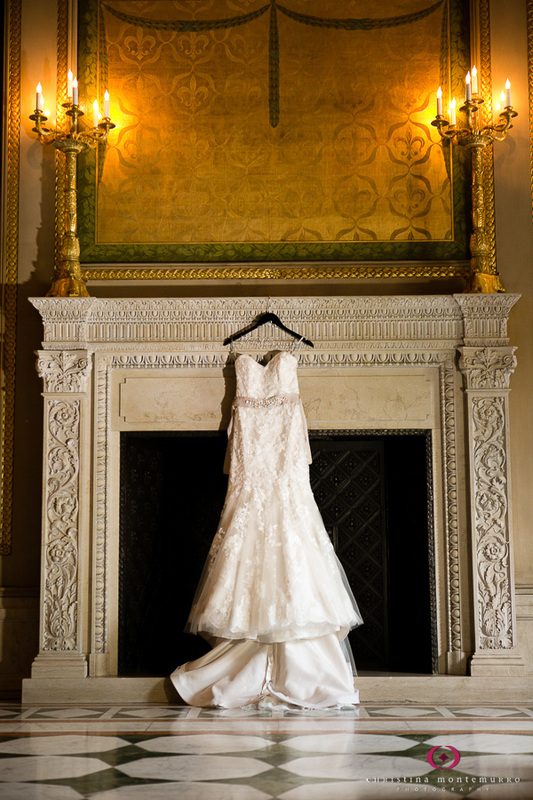 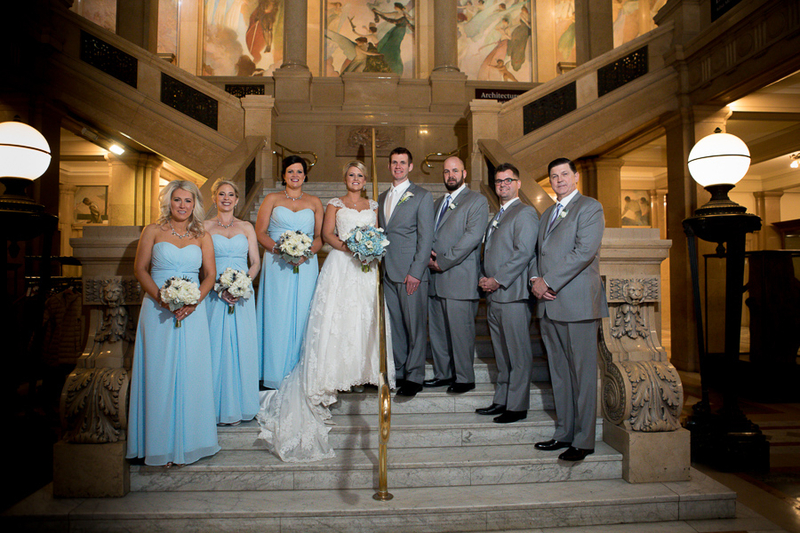 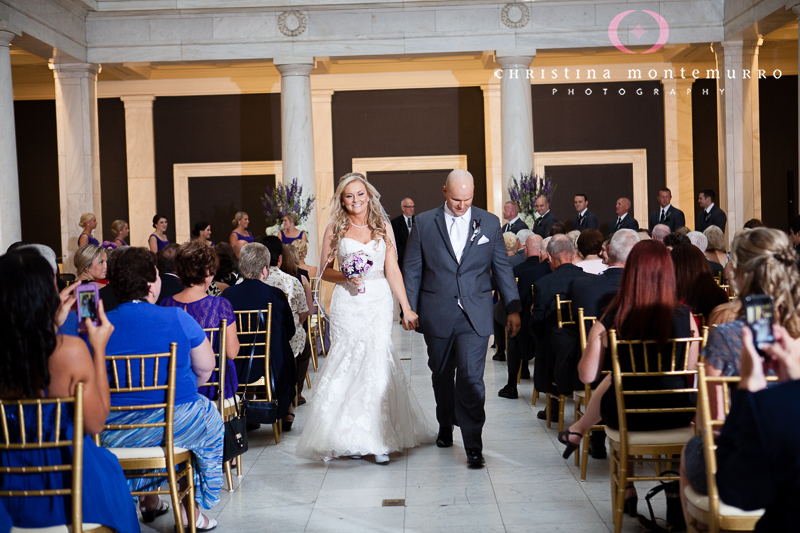 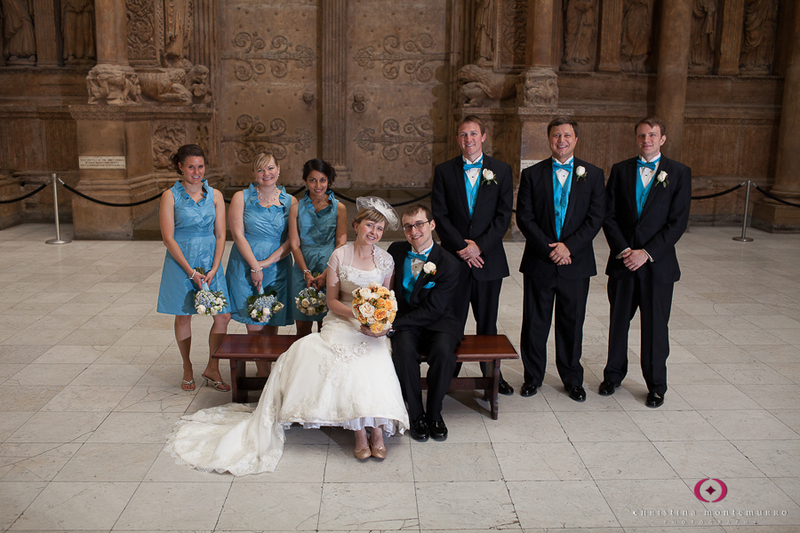 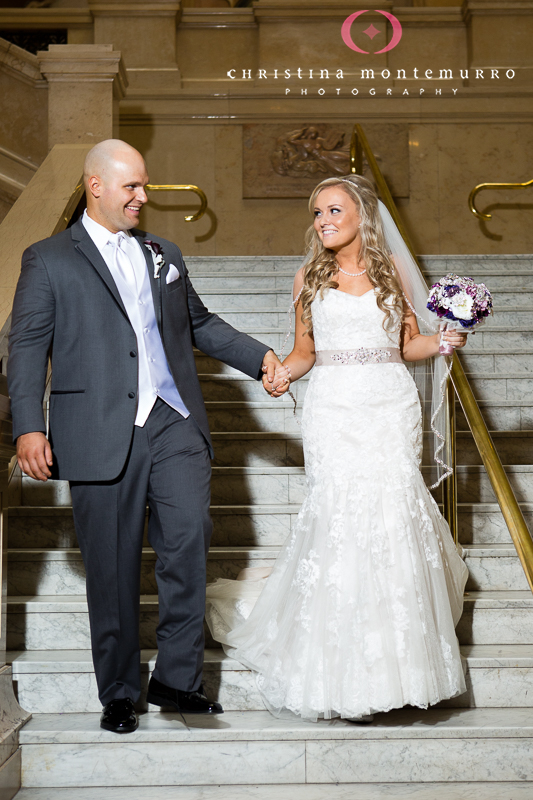 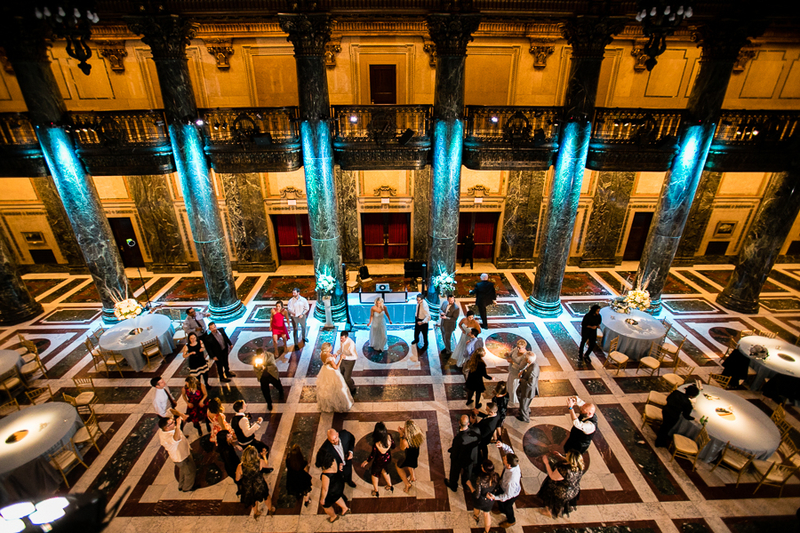 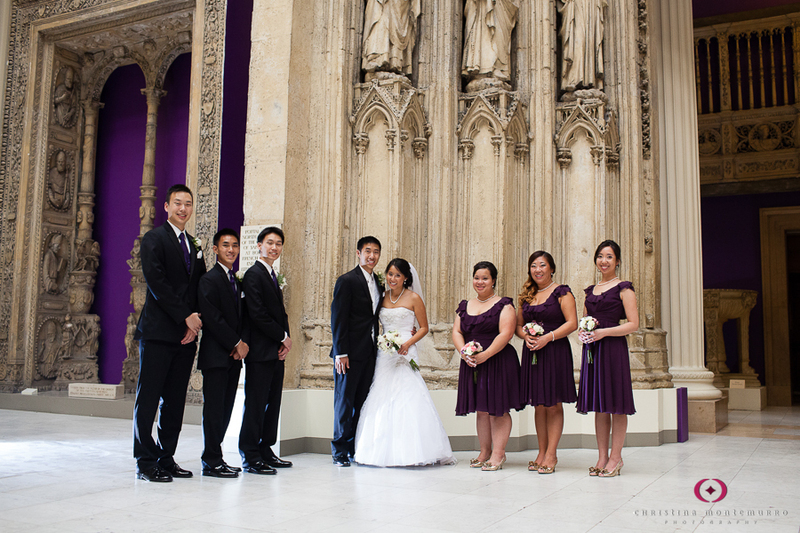 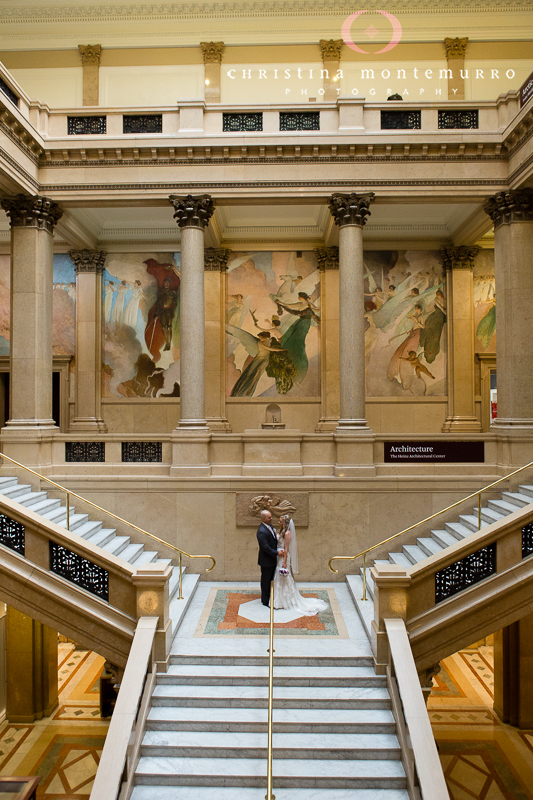 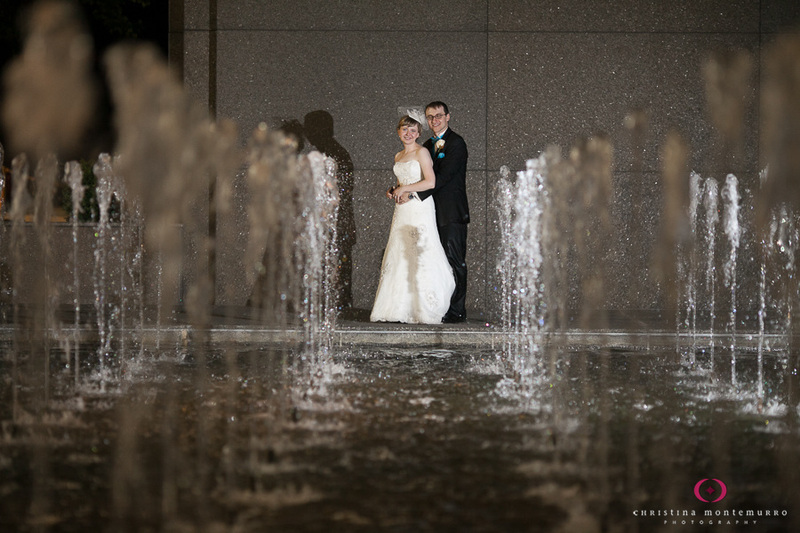 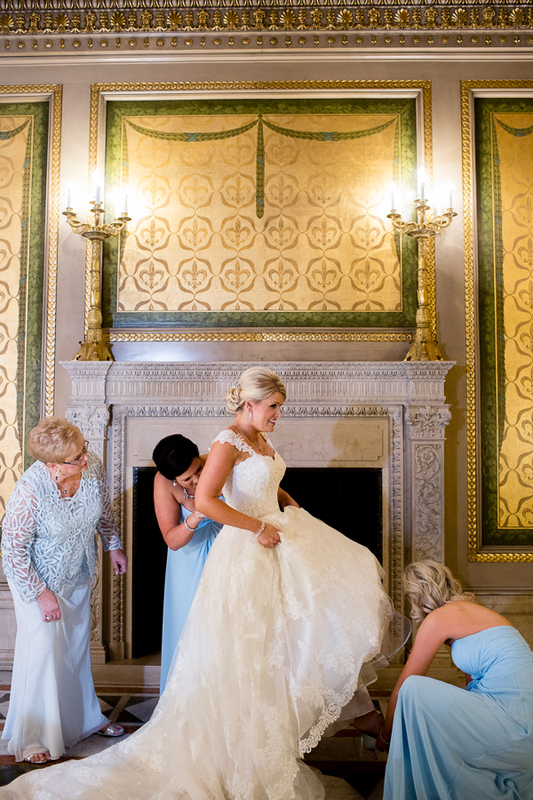 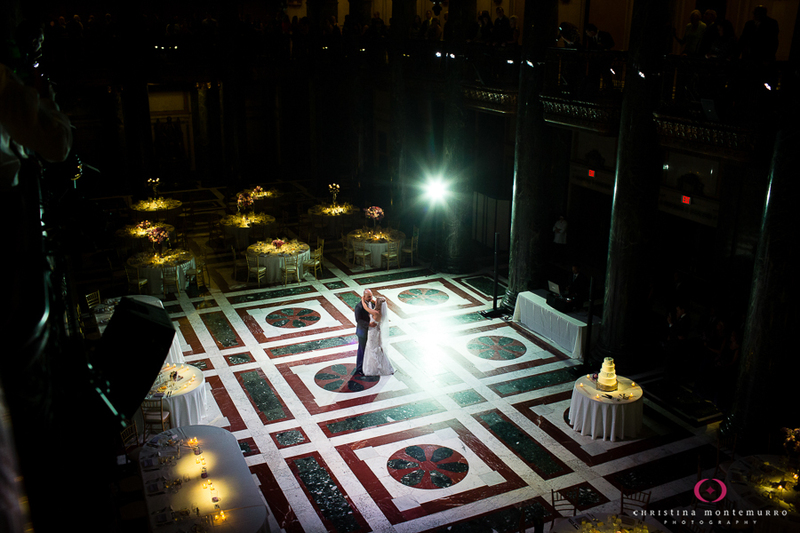 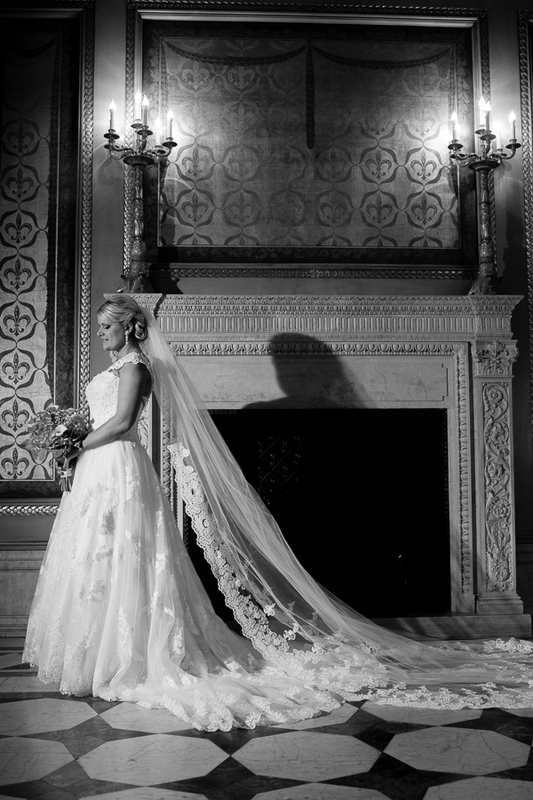 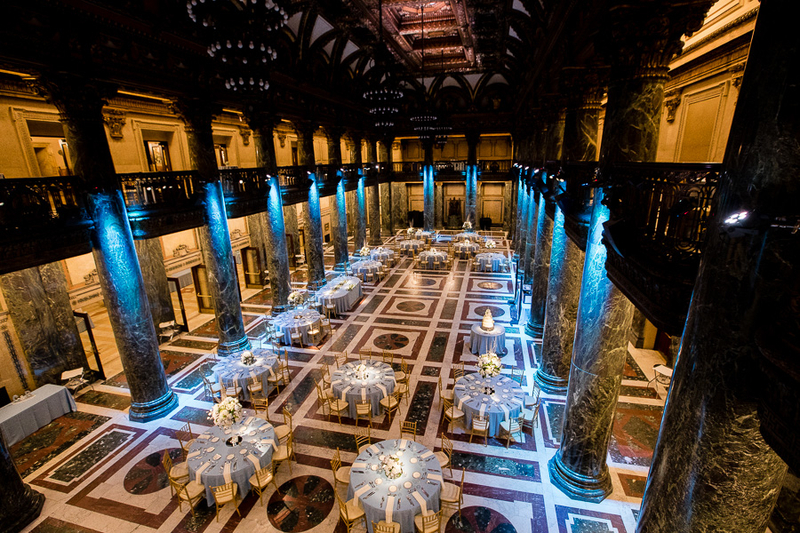 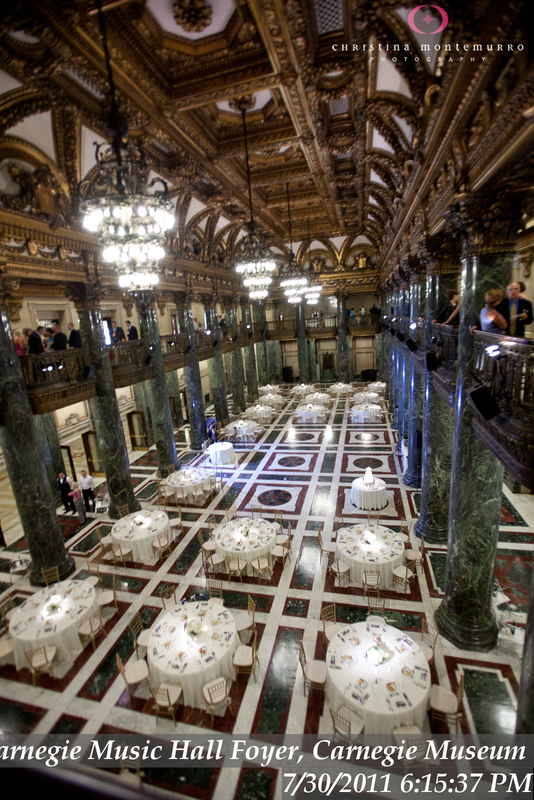 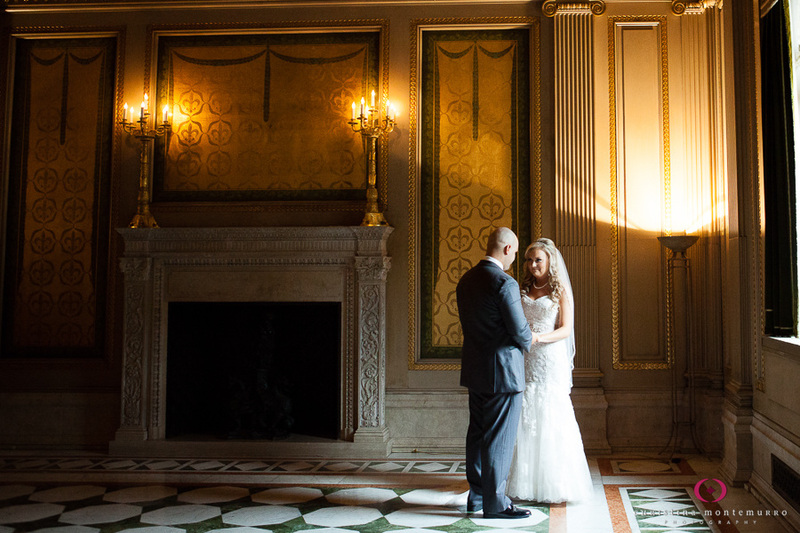 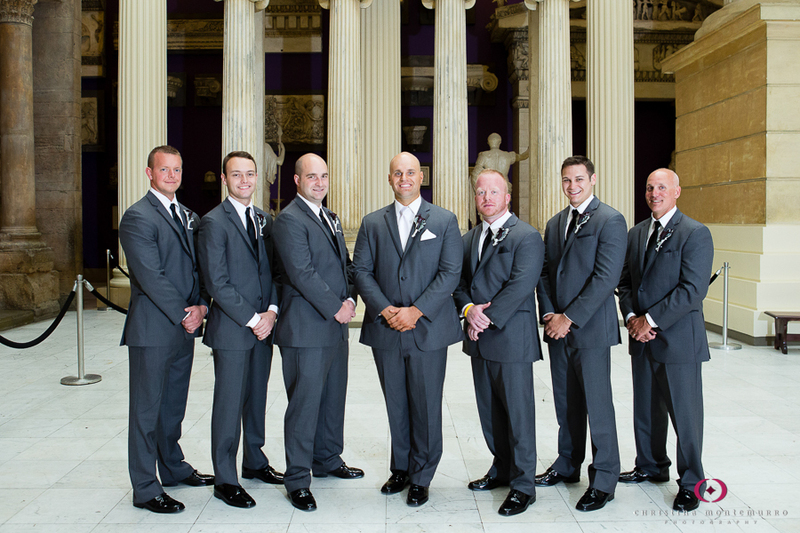 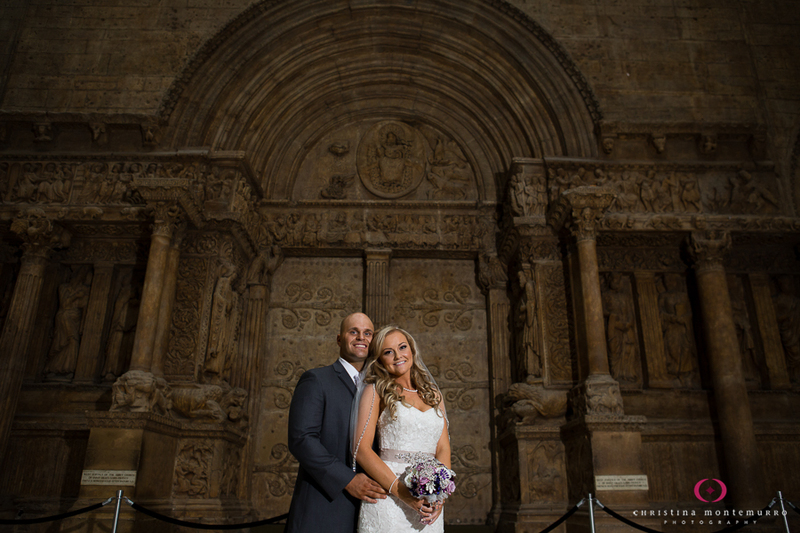 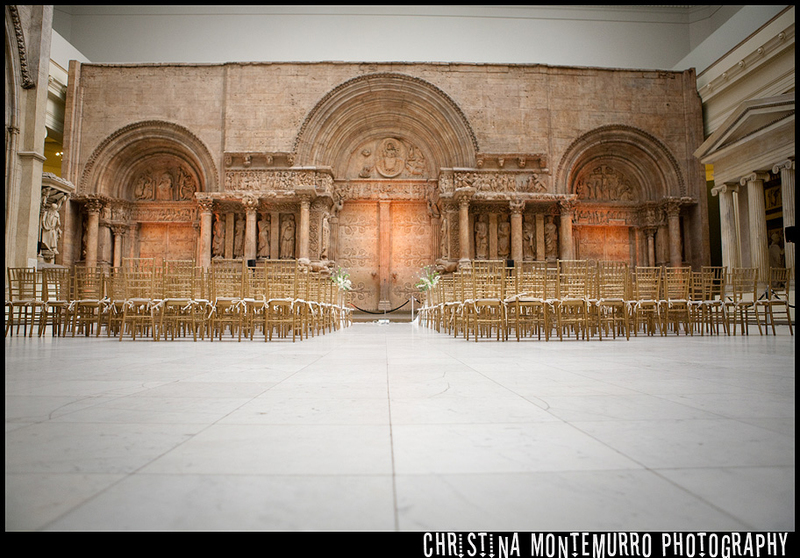 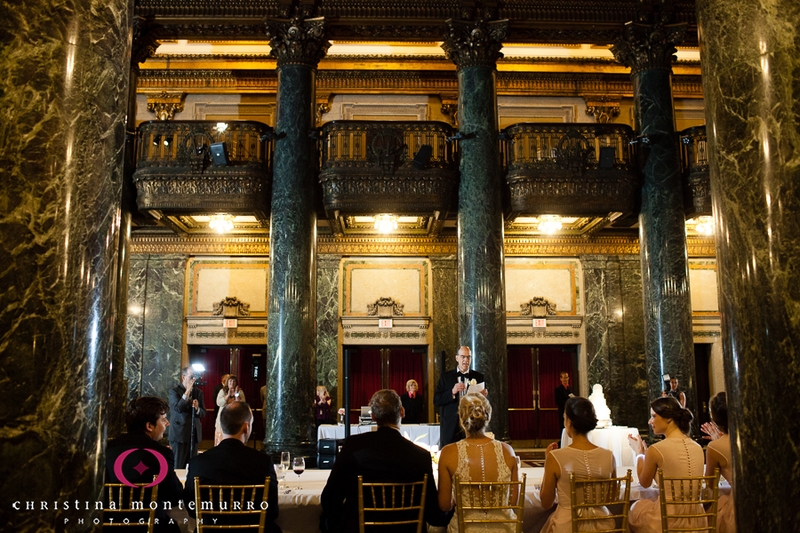 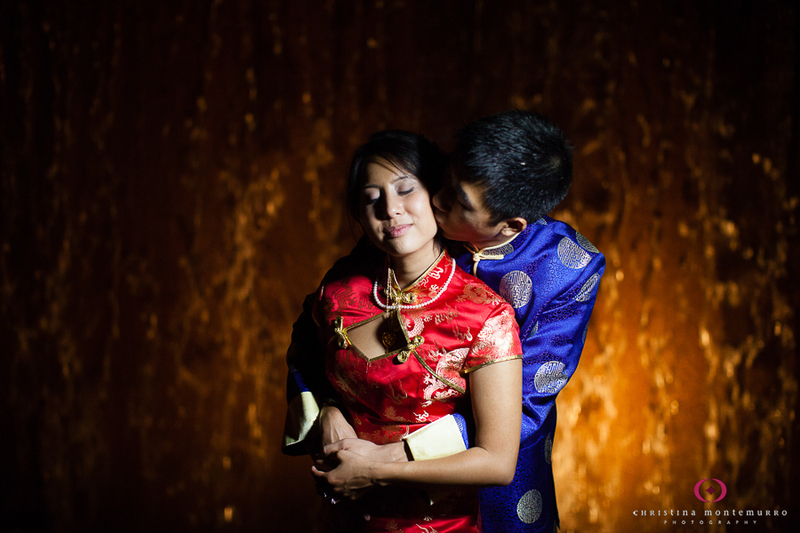 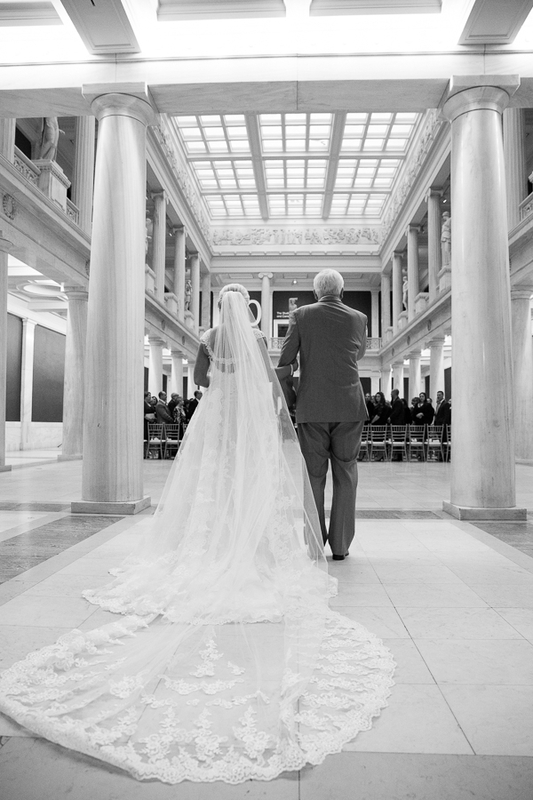 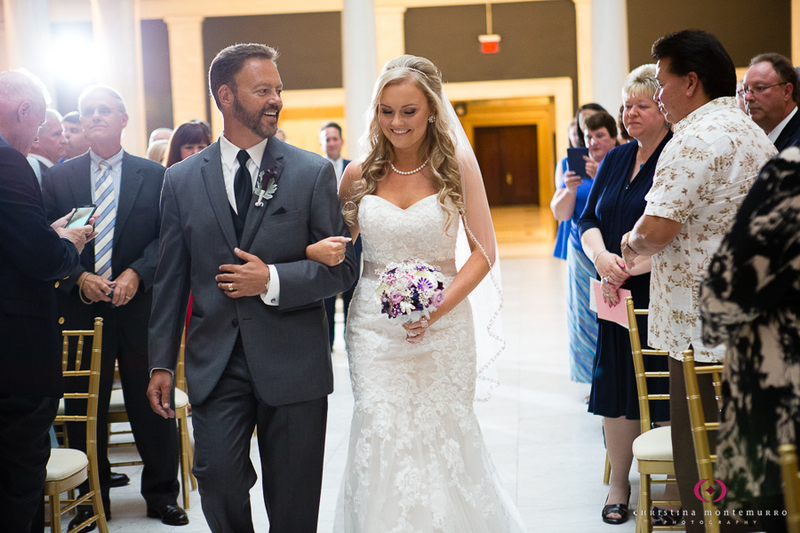 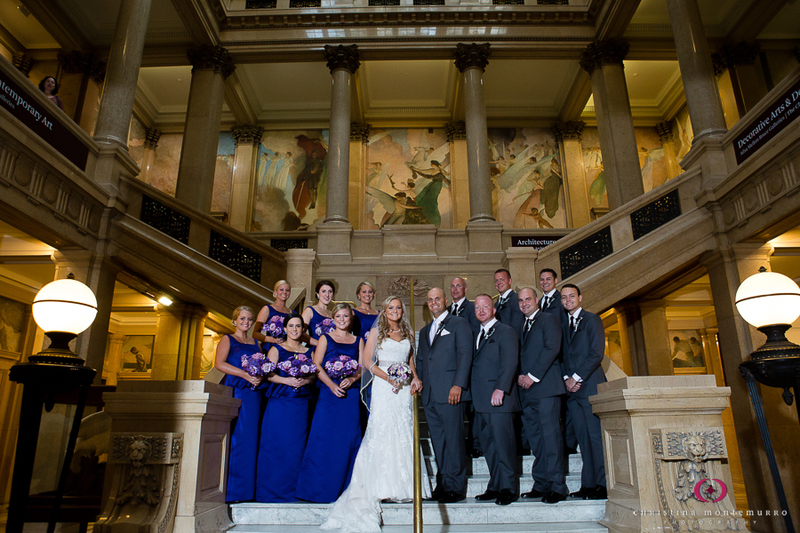 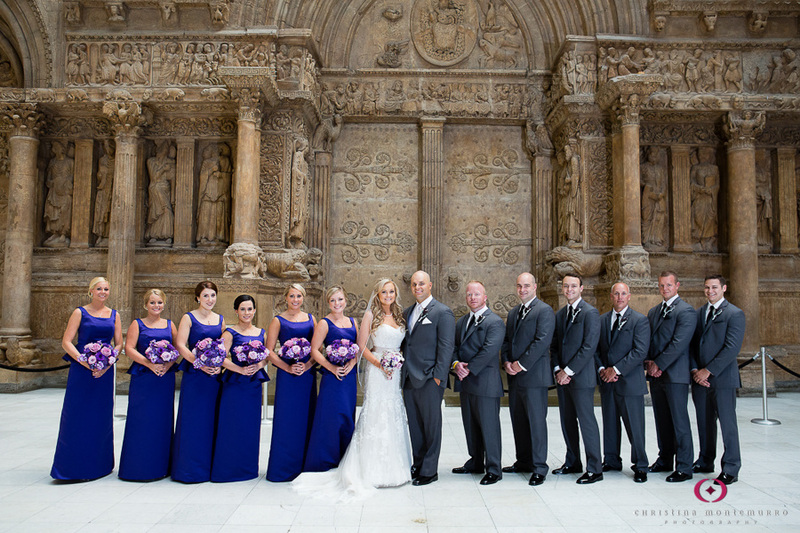 What’s to Love about Weddings at the Carnegie Museum? 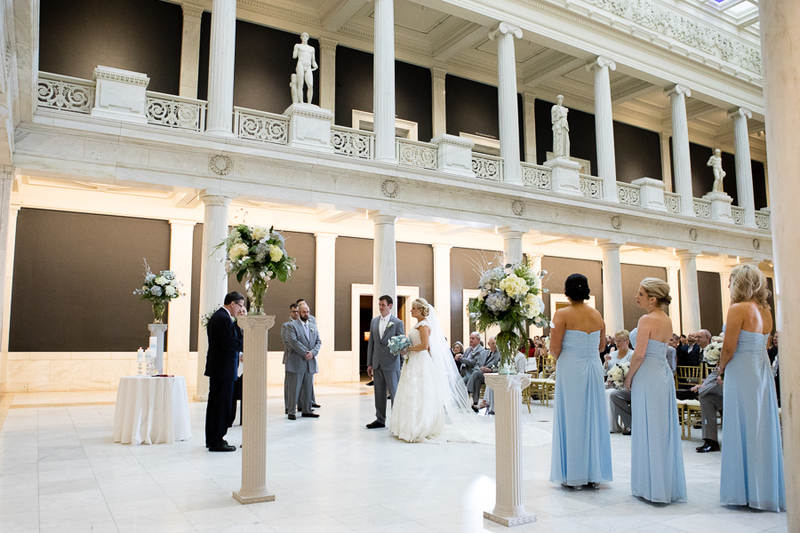 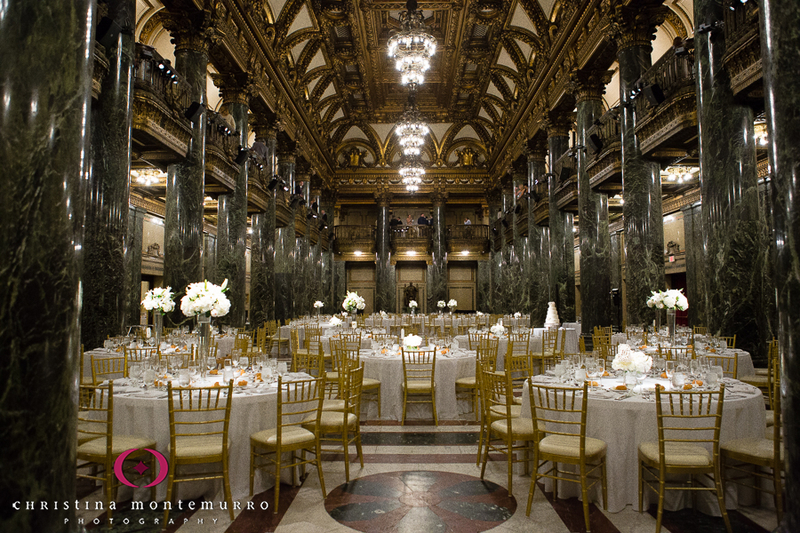 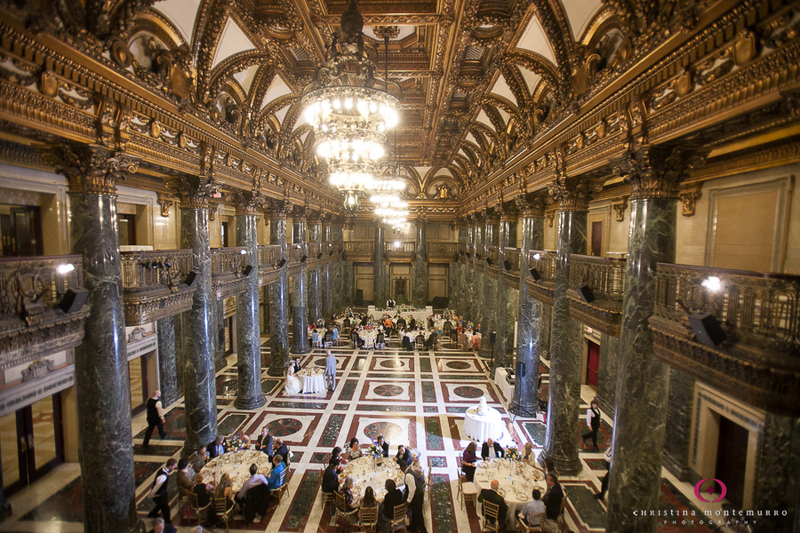 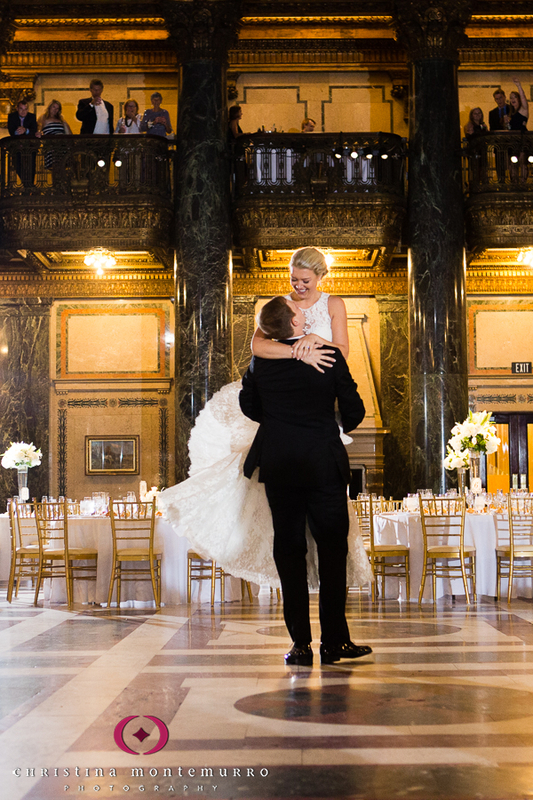 The most stately, majestic Pittsburgh wedding reception venue, the Music Hall Foyer, located inside the Carnegie Museum is spectacular. 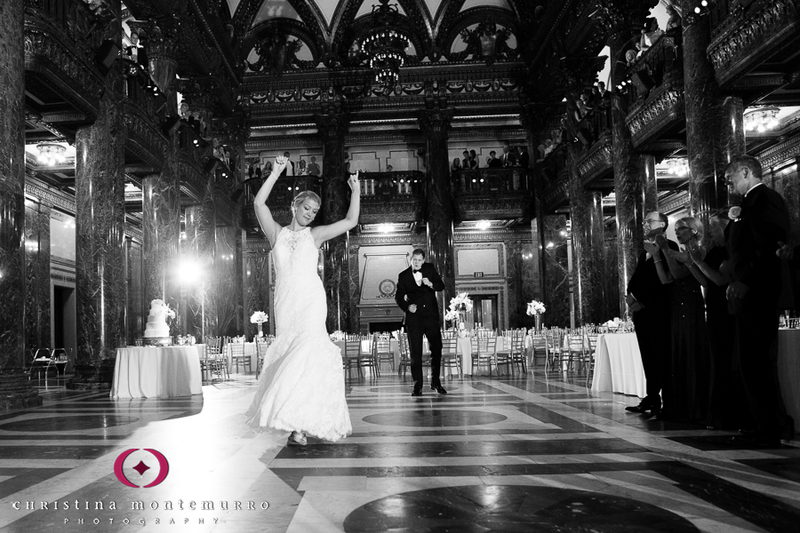 You can have cocktail hour on the balcony followed by dinner and dancing below. 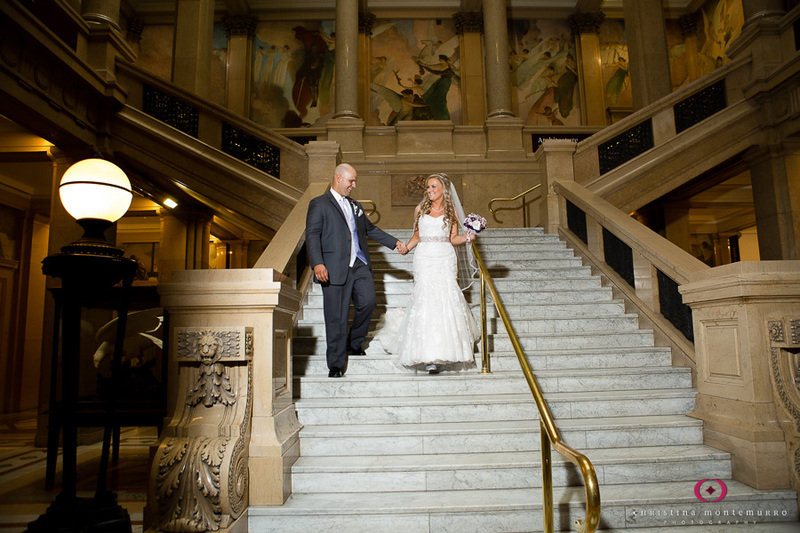 Plus, having your reception here grants you access to many wonderful photo locations, so you don’t have to worry at all about where to go for pictures if it’s too hot, too cold, too rainy or too snowy to be outside. 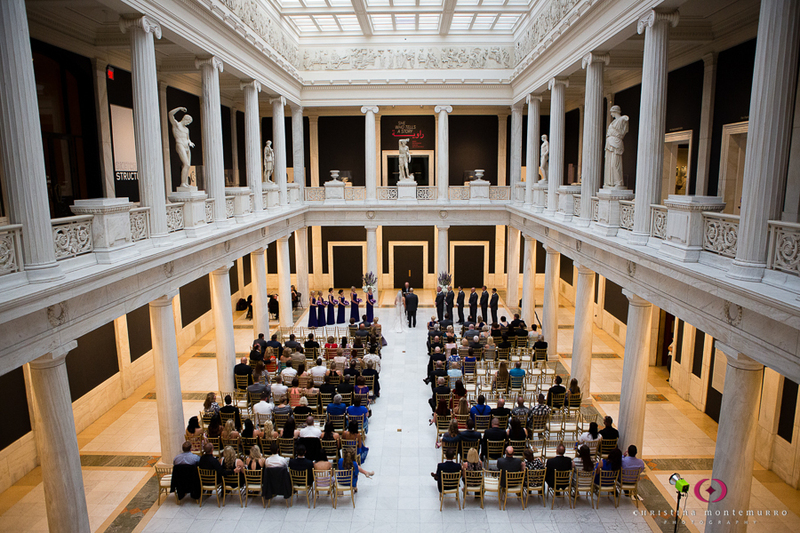 You can have your ceremony in the stunning Hall of Sculpture, so guests just have to walk a few steps through the museum to get to the reception. 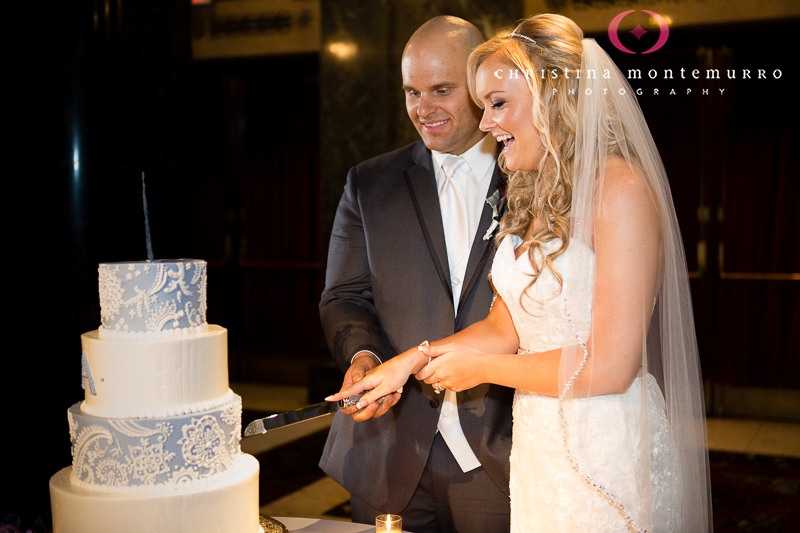 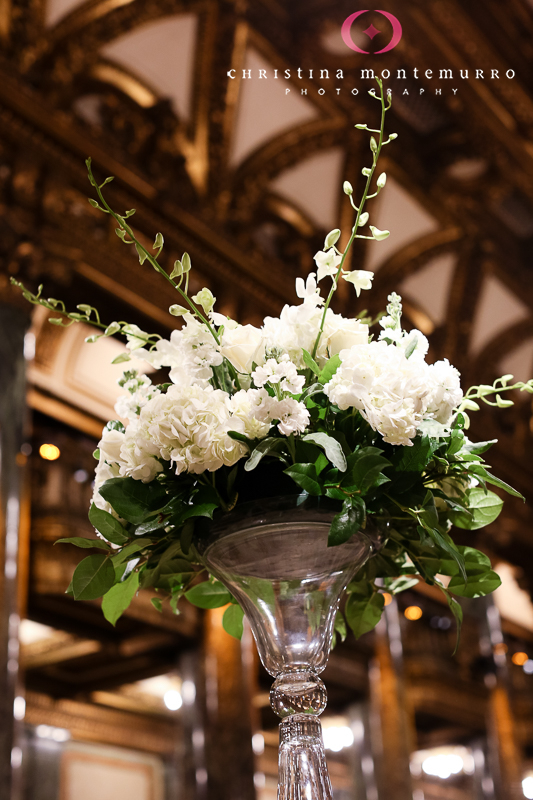 The staff here is attentive and friendly, providing exactly the kind of care and support you’d want to make for a memorable wedding day. 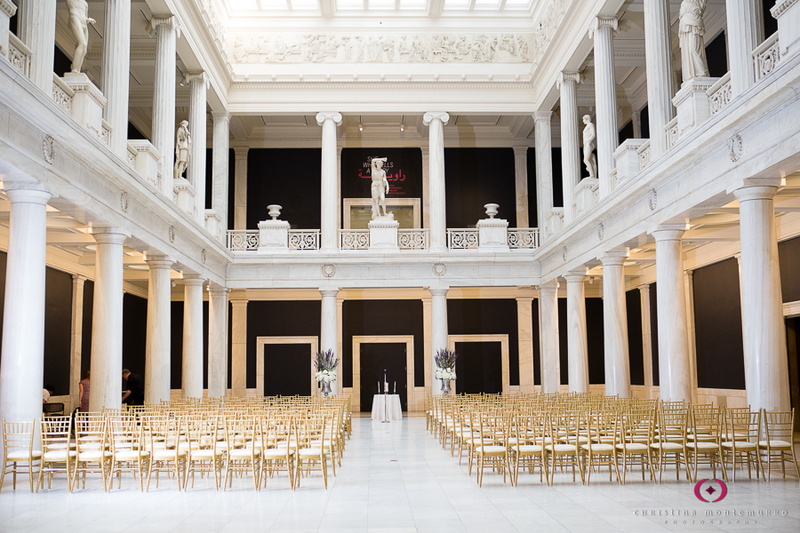 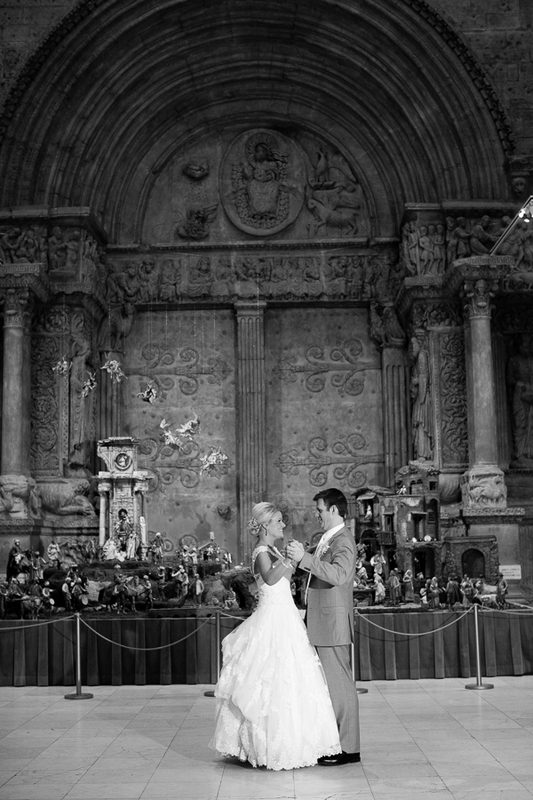 Space for indoor photos: Yes, lots of amazing places!